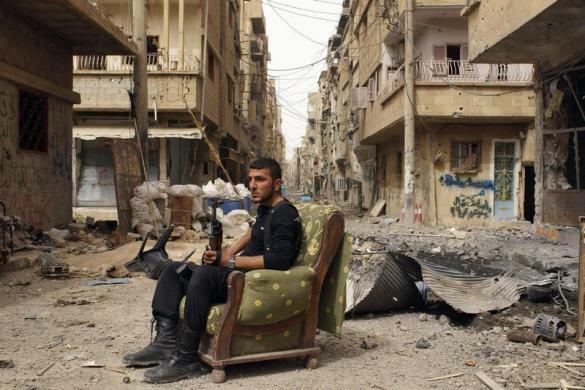 A member of the Free Syrian Army holds his weapon as he sits on a sofa in the middle of a street in Deir al-Zor April 2, 2013. Chinese leaders are increasingly finding themselves walking a tight line between two forms of “love of country”: One, the chest-thumping nationalism founded on resentment of foreign powers pushing China around; the other, a more introspective form, focusing on the challenging realities of life in the People’s Republic. Although Hillary Clinton’s push for an international movement of women and girls started in 1995, her work at the State Department truly institutionalized this global movement — through a ripple effect, the “Hillary effect.” The question begging now, of course, is can the “Hillary effect” sustain itself without Madame Secretary at the helm? North Korea’s recent gush of threats against South Korea and the West has issued in reassurances from politicians in the U.S. and beyond. But, as Lieber and Press say, the threat of nuclear war on the peninsula is not a remote idea, and Washington should act accordingly. To some, the notion that a revived Ottoman Empire is on the rise, soon to replace the Europe-facing, Western-dressing modern nation of Turkey. But is that really what Erdogan’s going for? “The Whole Truth,” an exhibit at the Jewish Museum Berlin, was sure to cause some controversy, centering itself around Jews from around the world (one at a time) sitting in a plexiglass box answering questions about “Jewishness” and Judaism. Yet in an effort — likely a well-intentioned one — to explain Judaism to the German public and normalize German/German-Jewish relations, “The Whole Truth” has tapped into a complex and wobbly relationship between Germans and German Jews, to say the least.